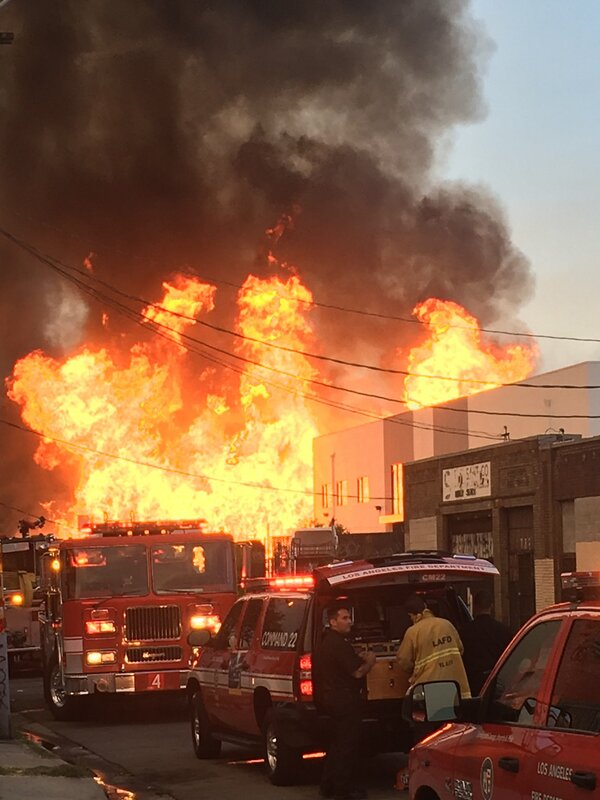 A tremendous battle by over 180 Los Angeles Firefighters saved multiple commercial buildings endangered by a fully involved pallet yard fire in Downtown Los Angeles. At 6:47PM on 23 July, 2016, the Los Angeles Fire Department responded to a reported structure fire at 748 S Ceres Av. The smoke plume was immediately visible and warned of a well-established fire awaiting the crews. An outside pallet yard was fully involved with fire and, ultimately, exposed six commercial buildings. 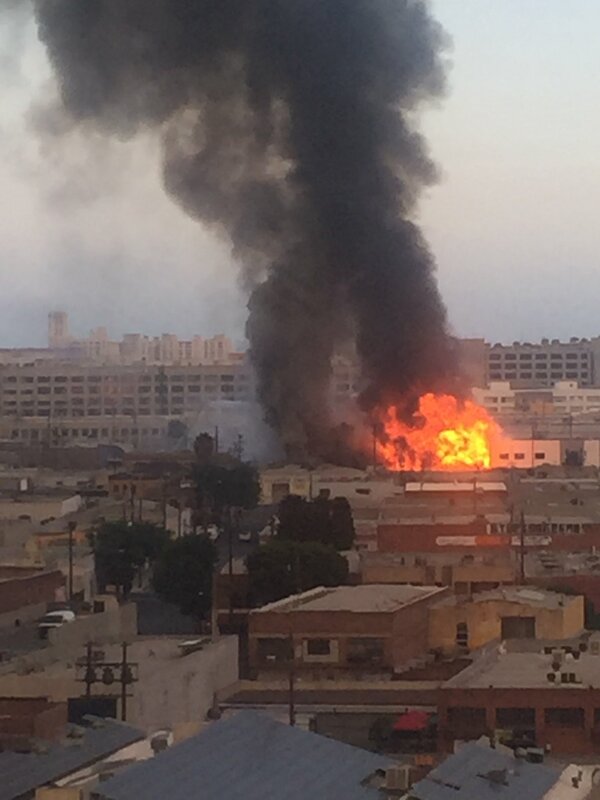 Incident Commander Assistant Chief Michael Little immediately requested additional resources, establishing this as a Major Emergency Fire with over 180 firefighters on the incident. A one story business next to the pallet fire was quickly taken over by flames and forced crews into a defensive operation. The offensive fight focused on a two story building on the opposite site of the pallet yard and the fierce determination of firefighters saved the building from significant damage. Two buildings behind the pallet yard also sustained damage but were not complete losses. Firefighters did not let the extreme heat deter their efforts and fought the blaze for nearly two hours before being able to knock down the bulk of the flames. The long process of hitting all the hot spots, clearing debris and performing overhaul of the fire lasted through the night. There were no injuries reported, the cause of the fire is under investigation and losses are being tabulated.